The following are files I created and used as an Activity Days Leader. This calendar was the most helpful tool I’ve created! It became an at a glance roster, attendance, calendar and reporting system in one. 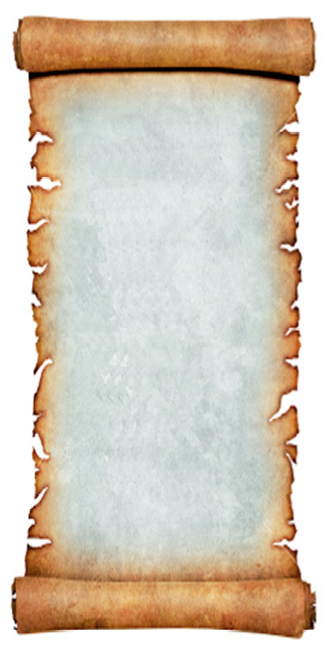 I’ve shared it as a plain image file so you could download it and put text boxes over the areas you want to type text into. You can see I put gray boxes in the attendance side to indicate when girls were coming into the program or graduating out. By keeping the attendance right next to the calendar it became easy to track progress and keep records. In fact, I used to make the file a pdf and email it to the respective leader who needed it. The PDF will allow you to see what it looks like but not edit. The Word version is converted from my Mac so I can’t guarantee how the file will work for you. 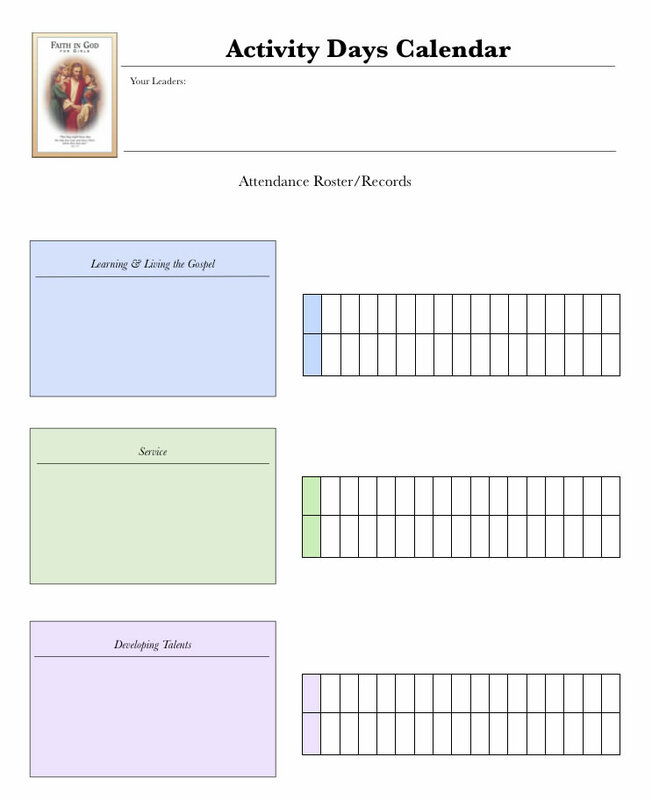 Articles of Faith Game -This is a memory concept I came up with to help myself and my girls learn and remember what the articles of faith mean. It has become the mainstay in my home for helping all of us better understand and remember the Articles of Faith. The images above are links to the files with more information. 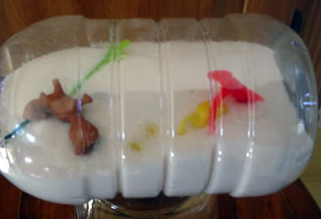 I Spy Bottles – These were plastic water bottles, filled with sand, salt or rice and small objects. (Note: after having done these I don’t recommend sand – it makes the bottle cloudy. I’d use white rice.) 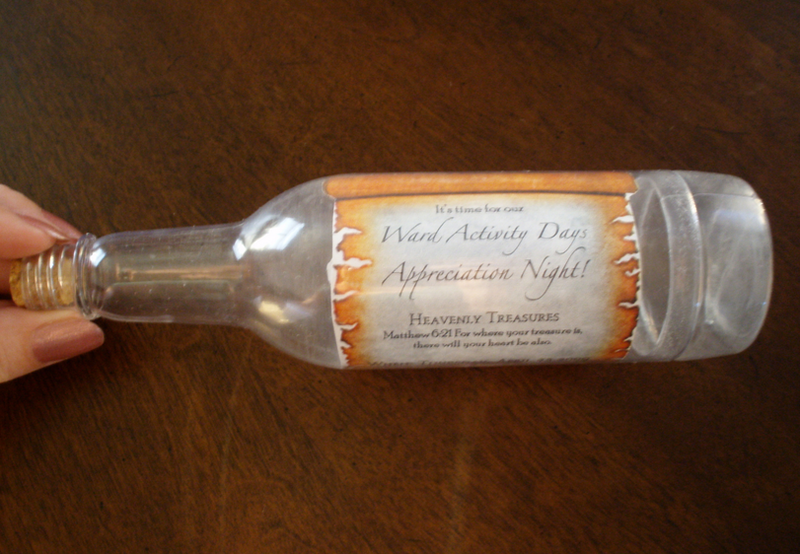 The tops were hot glued and the bottles were donated to the ward nursery. This document shows some of the themes we used. We used the small/mini water bottles. The leaders provided everything except the small items, those each girl brought as part of her assignment when she’d decided which theme she wanted to do. This proved to be one of their more favorite activities. Prayer Pockets– These were a last minute creation when the store I was going to go to for prayer pillows didn’t have fabric anymore! You’ll need: 1 old jeans pocket, 1 piece of ribbon, thread, 2 buttons, Scissors, Markers, Misc. decorating aids (optional)I let the girls cut around their pockets and helped them learn how to thread a needle, make a knot and sew on a button. We had a short lesson about how prayer is a form of communication like letters and how sad Heavenly Father must be when his mailbox is empty. I made some little cards for them to color to put in their prayer pockets that went along with the lesson. Just click on their image above for the file. 12 Days of Christmas Book – This was a simple little book of ideas of service and kindness for the girls at Christmas time. They had fun compiling them. While some worked on their books, others worked on making christmas wreaths out of pretzels and green frosting. (Click on image for file) Many choose to give their books to friends or family for Christmas gifts. Master of the Rings– An Article of Faith Game,This activity was a fun one where I took plastic rings (the kind you buy in bulk for wedding favors) and we linked them to their cards as a chain. The chain was as long as their solutions to the articles of faith puzzle game. It was during the Lord of the Rings buzz so they liked the concept. I also liked being able to tie in some of the moral of that story with the value and power of knowing the Articles of Faith.For the game I gave each girl an envelope. (If your number of girls doesn’t work you can group them up.) In each envelope were word strips that made up that article of faith. I just printed out the articles of faith on paper and cut out groups of words (Click here for a copy of those). When they got them in the right order they’d earn a ring for their card. Depending on time and age of the girls you may need to have each group complete one article of faith and then have everyone review it together. 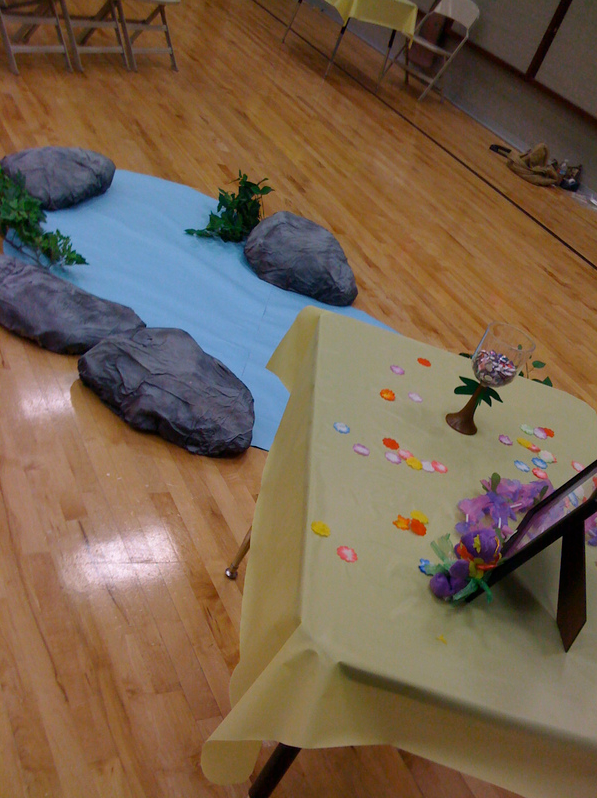 One fun theme we did for appreciation night was all about Treasure. 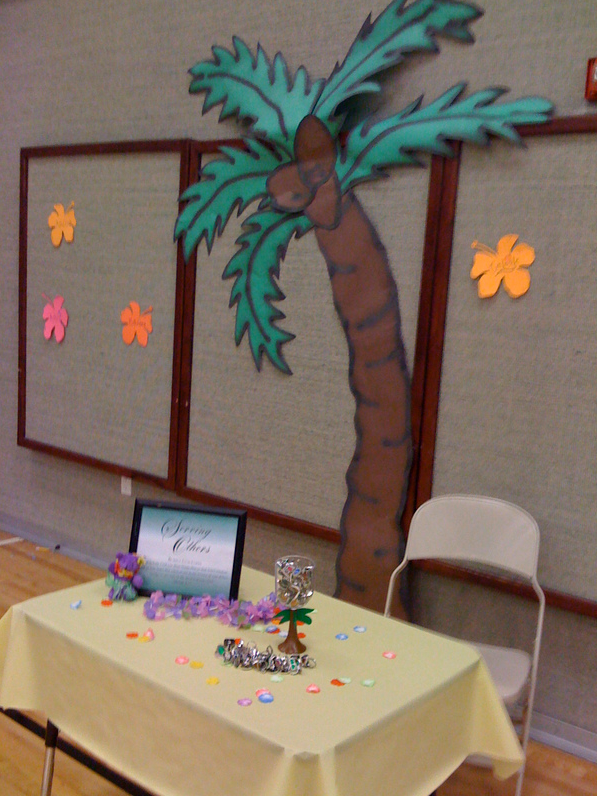 We decorating stations in the gym for the girls to rotate through, one for each of the three main areas in their book. Their first activity was to decorate their own jewelry chest/box so as they rotated through the stations they had something to collect “treasures” in. At the end they wrote their testimony on a scroll paper and added it to their treasure chest. 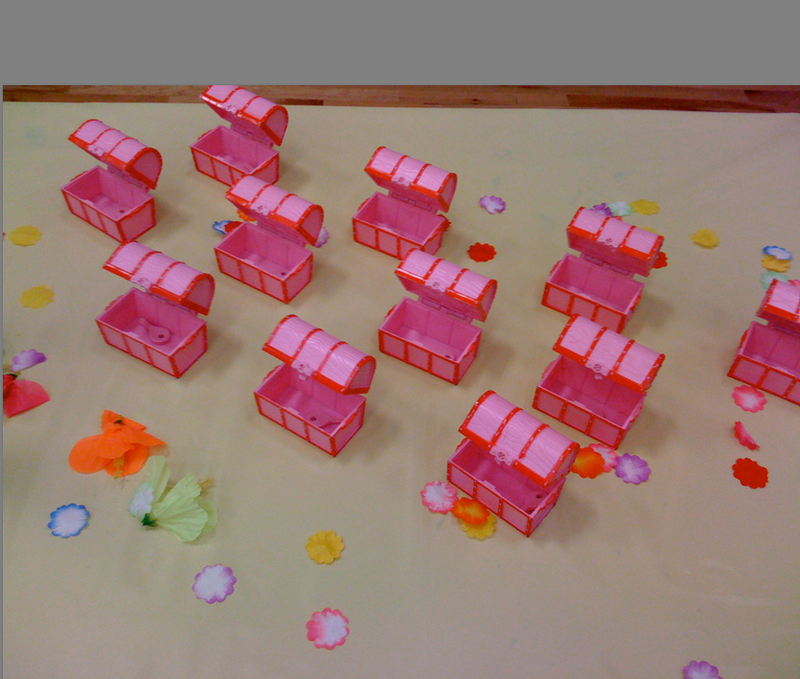 After much debating on time, budget and simplicity, the leaders settled on using treasure chests that were already complete and we had the girls write their names on them. We talked about making this activity take more time with them painting/decorating their chests, but in the end we went this route. Turns out it was a great call because it left us time to do the other things without feeling rushed on time. 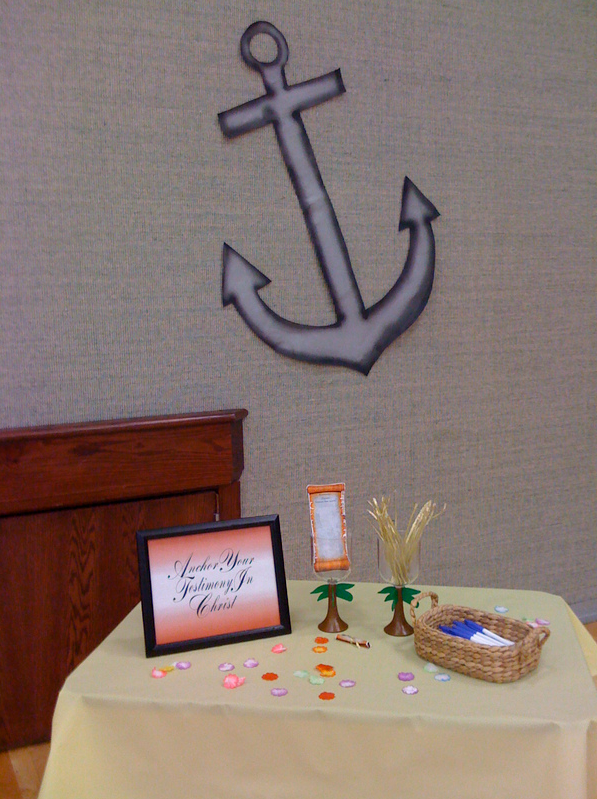 The stations were set up with each one providing a small treasure to add to their chest. They represented the three main areas in their books. 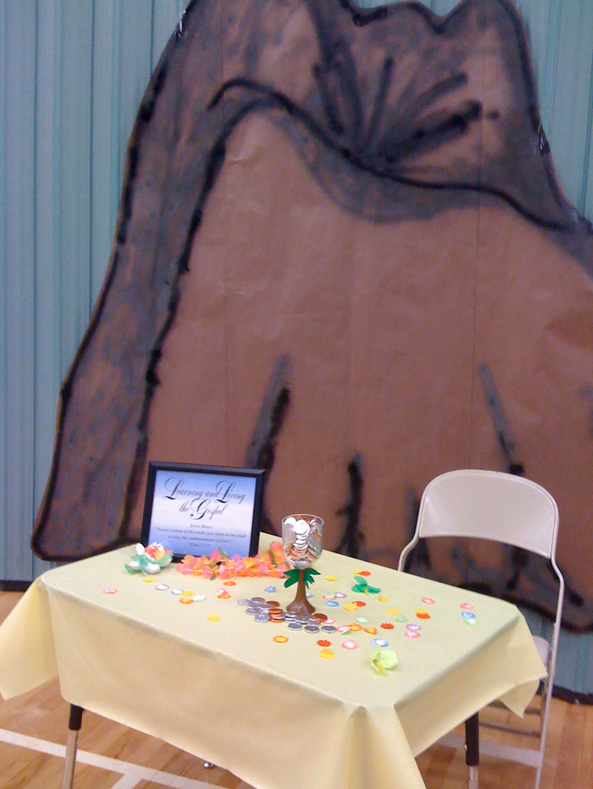 Leaders sat behind the stations and handed out the treasures based on the topic. For the service station, the girls were given a couple of rings for acts of service they had rendered and one for something they could commit to doing in the future. The other stations had medal coins with candy inside and stick on jewels. They ended at the testimony station where they wrote their testimony on a scroll and added to their collections. The purpose of the stations included 1) having the girls and their parents interact with activity day leaders, 2) give the girls a chance to report on activities they’d participated in, 3) give the girls the opportunity to set some goals, and 4) walk away with a reminder about the treasures we’d discussed that night. It was a great success! I have also uploaded a planning page of information gathered during the planning process here. Thanks for all of your help and have a great day! You just saved my last minute rush to get a calendar together for activity days. Thanks you for your wonderful work and posts and faithfulness!!! You’re welcome. Glad something was helpful. I love your blank calendar but can’t make any changes to the PDF file. Any tips you could help me with? HI Kristen, I sent you an e-mail. In short, the best suggestion I have is to use these blank masters as images or backgrounds in a new document in your choice of software. Then just add text boxes over the appropriate areas to customize fonts and information. Hi Holly – I looove your Achievement Days ideas. Is your blank calendar by chance saved as a Word file or another file that I could access? Could you email the original, so I could see if I could make changes? If so my email if tiffenywow@hotmail.com. Thanks again for your posts. I love your ideas! I am desperately starting with not a huge base to work upon. Is there a way that on the Blank calendar, I can go in it and edit so to be able to use the great calendar you have made and put in my own scheduled activities and leader information? I am trying to take this to a higher level of importance in our ward, and any help you could give me would be so appreciated. By the way, GREAT webpage!!! What a talented lady you are!!! Sorry, I just read through the comments and it seems this is a common question. I am am still unsure as how to put in my own information. Thanks again! I am having trouble with the links on your site. Can you please help with this as I am very interested in activities you have on here. Hi there! I have been trying to click on your Activity Days files and Leader stuff and it won’t let me for some reason. I added my email adress to follow you as well. Can I have access to them please? My email address is kbstanf@hotmail.com. Thanks!! I think I got them fixed! Thank you so much for sharing your ideas! I have been doing activity days for 2 1/2 years and have been feeling less inspired for ideas. I am not tech savvy and cannot figure out how to add text boxes to your calender, like many others. Could you email it to me? Hi Katie, I sent you the converted Word file, not sure how it will turn out. I love your AD tracking forms. Would please send me the pages file. So cute! The scripture owls are a great addition to the calendar. 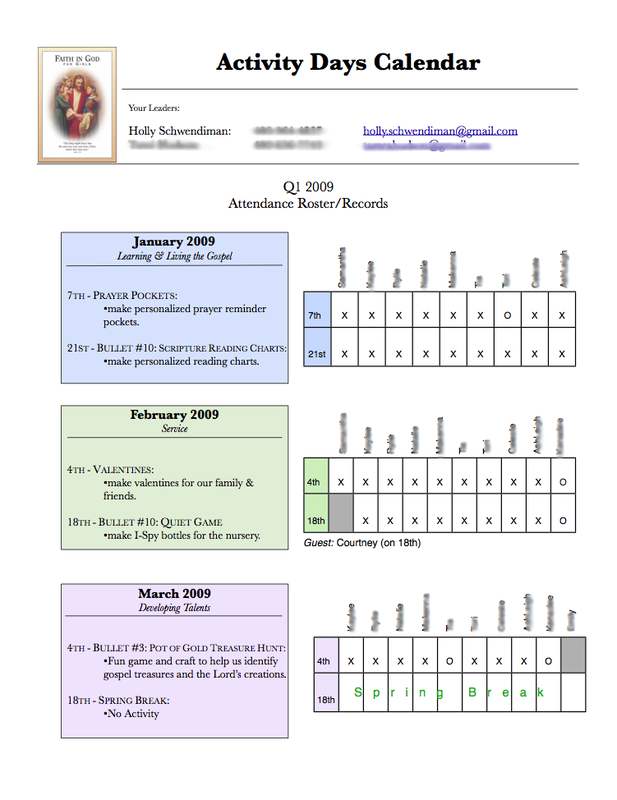 I would love to have the file page sent to me also for the tracking forms you have made. Guessing I don’t know what calender everyone is talking about but with a new year upon us I would love a calender to help and love the idea of scripture owls. Hi susan, the calendar links are right under the pictures. If you click on the “Word” link it will open it as a file you can edit. Hi! Could you send me the Mac version of the calendar for AD? Thank you! Hi Holly, I happened across your site while looking for Activity Days resources. Could you please send me your tracking sheet and calendar file? I’m on a Mac. And please say hi to Blake for me. We went to high school together. I’m sure he’s just as nice now as he was back then. Holly I love your cute ideas. Thanks for sharing. Hi there! Just found your amazing tracking sheet! I love it! If you have the Mac version and wouldn’t mind sending, I’d sure appreciate it!! Thank you! Do you mind emailing me the files also so that I can make updates and changes for my group? Thank you!! I love all your ideas!!! I just got called to Activity Days and would LOVE your pages document to track the girls. Thank you! I know this is an old thread, so don’t know if you will see it. But I have a mac, so if you could send me your original file for this I would so greatly appreciate it. I have spent more time than I would like to admit trying to modify the word document on my mac, but I am struggling. This tracking sheet is just what I was looking for though! Thanks for your great work. I sent it via email. My situation is the same as Sheri (Aug 17, 2016). I also have a mac and have tried to modify the word document but I am not that tech savvy. I would be so grateful if you would send me your original file. The tracking sheet is perfect. Thank you for sharing your wonderful ideas. They have been so helpful! Sorry for the delay! I just sent it. I used Pages for Mac. Can I get a copy of the file in word also? The Word file is on the page as a link called Word. I love to see the prayer pocket and maybe have a pattern for it, please? I want to do this with my girls.